Whether youâ€™re running a factory, transport company, hotel, hospital or school, we help you work more efficiently, productively and safely. 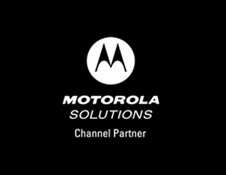 Our extensive range of Motorola Solutions radio devices, applications and accessories provide quality solutions to empower your workforce and unleash the full extent of your business potential. A variety of factors prompted the district to adopt a more robust and reliable solution than incumbent push-to-talk cellular. They discovered that the combination of the MOTOTRBO digital two-way radio system and Teldio telephone interconnect application would provide real-time communications â€“ and a direct connection to 9-1-1 dispatchers â€“ to increase school safety. Rosen Hotels & Resorts run and operate seven quality properties at the hub of Orlandoâ€™s theme parks. Their ongoing commitment to exceptional guest satisfaction has fueled their growth for over 40 years. For over 15 years, Aux Sable has been extracting and fractionating natural gas at its 70-acre facility in Channahon, Illinois, at the terminus of the Alliance Pipeline. This operation processes 2.1 billion cubic feet per day of natural gas and can produce approximately 107,000 barrels per day of NGL products â€“ including ethane, propane, butanes and pentanes. As Aux Sable expanded its Illinois facility to increase NGL production, it wanted to add to and enhance its MOTOTRBO digital radio system not only for regular employees, but for teams of outside contractors. MOTOTRBOâ€™s platform offered a safe and productive way to meet their changing communication requirements. With the growth in export and import container business through the Port of New Orleans and an increase in drivers that travel outside New Orleans, KCO knew it had to expand radio communications to improve efficiency and customer service. The company quickly embraced the operations-critical benefits of Motorolaâ€™s digital technology with MOTOTRBO radios and MOTOTRBO Connect Plus commercial network. The benefits of extending radio PTT to broadband devices go far beyond internal operations. â€œFor our customers, it is bringing reliability and safety to our people and also bringing service, productivity and financial gains to those using the commerce,â€� says John Rono. The combined power of MOTOTRBO and WAVE are connecting Connexus Energy like never before â€“ so they can elevate customer service and help their community thrive.